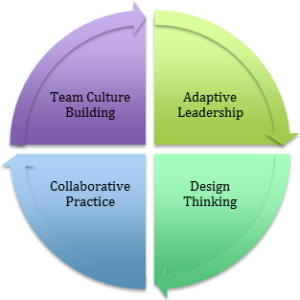 Build your adaptive leadership skills to smoothly adopt and embed new practice. Use the latest in design thinking and practice methods to design flexible and quality programs, projects and processes. Embed empowered collaboration into all aspects of your practice. Build a strong culture that supports change and innovation. Sustain change efforts and develop strategies to keep the change on track. Affirm facilitates change management, strategic planning, team development, and program and project design and development processes, and provides change management, leadership and collaboration training and coaching.